Because of the unique physical properties of silica fume, it was used initially for cement replacement, along with water-reducing admixtures. With the application of high-range water-reducing admixtures(Usually called superplasticizers), Can reflect the higher performance of silica fume, the application range has been expanded. 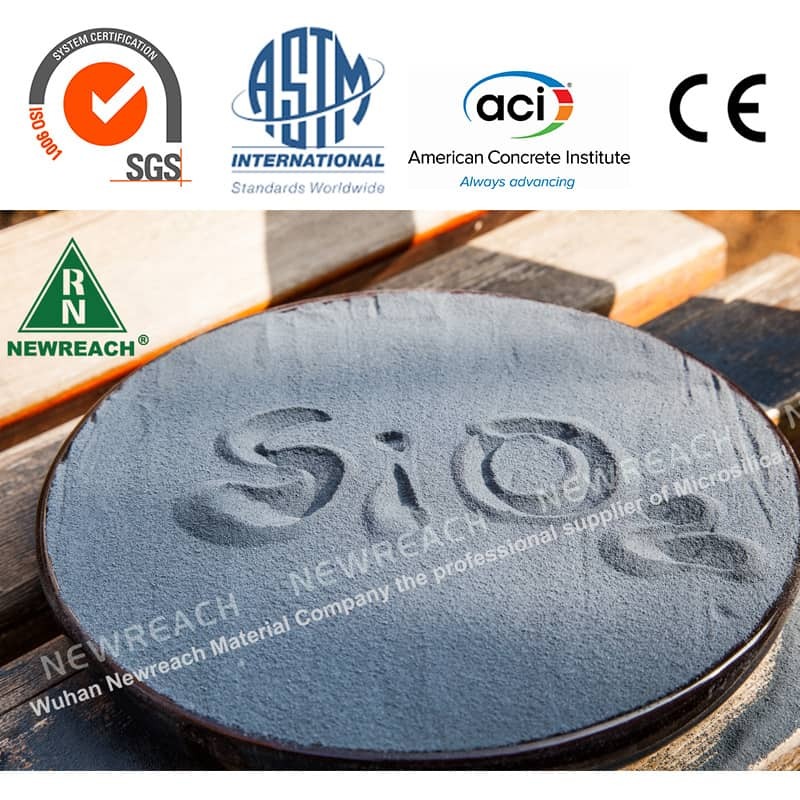 At present, the most important reason for its use is the production of HPC (high-performance concrete), which provides enhanced real performance. Most silica fumes vary from light to dark grey. 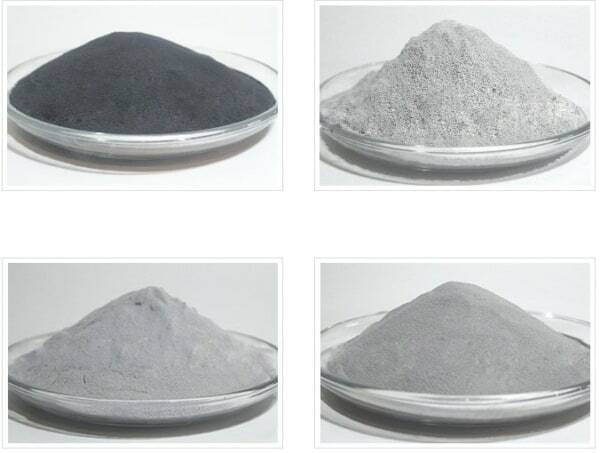 Because SiO2 is colorless, the color is dependent on the non-silica elements, which typically include carbon and iron oxide. Generally, the higher the carbon content, the darker the silica fume. 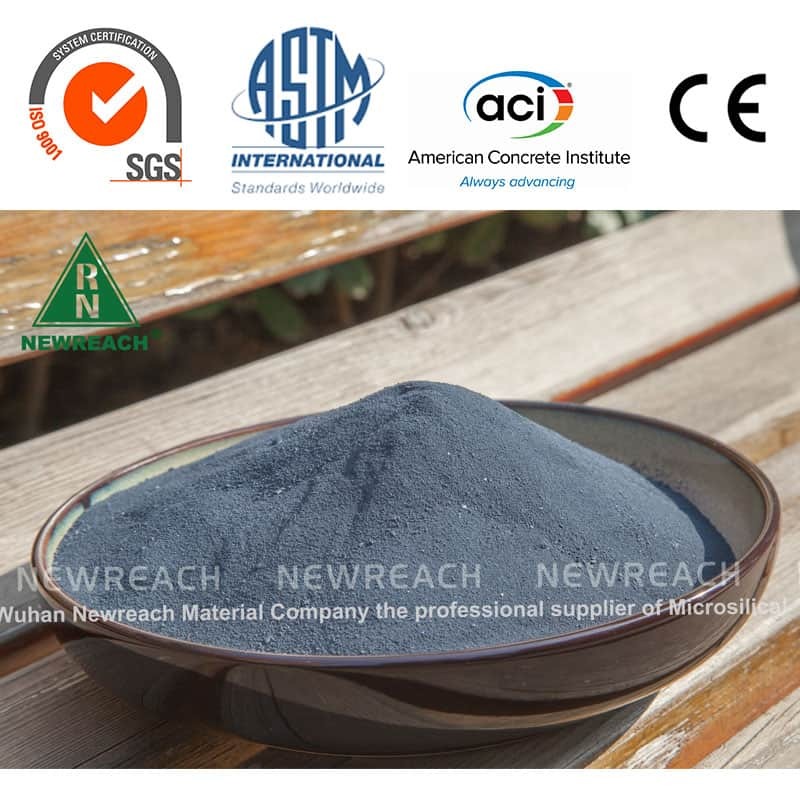 The carbon content of silica fume is affected by several aspects having to do with the manufacturing process, such as the use of wood chips versus coal, wood chip composition, furnace temperature, furnace exhaust temperature, and the kind of product (metal alloy) being produced. 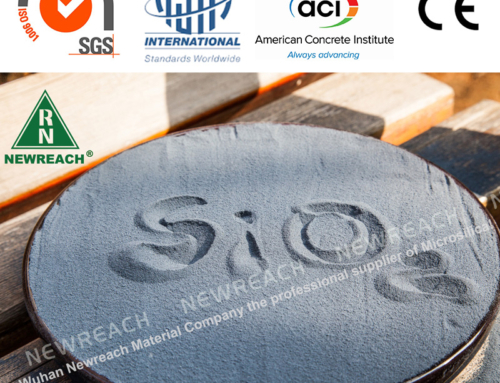 The specific gravity of silica fume is approximately 2.2, as compared with about 3.1 for Portland cement. Variations in specific gravity are attributed to the non-silica components of the various silica fumes. 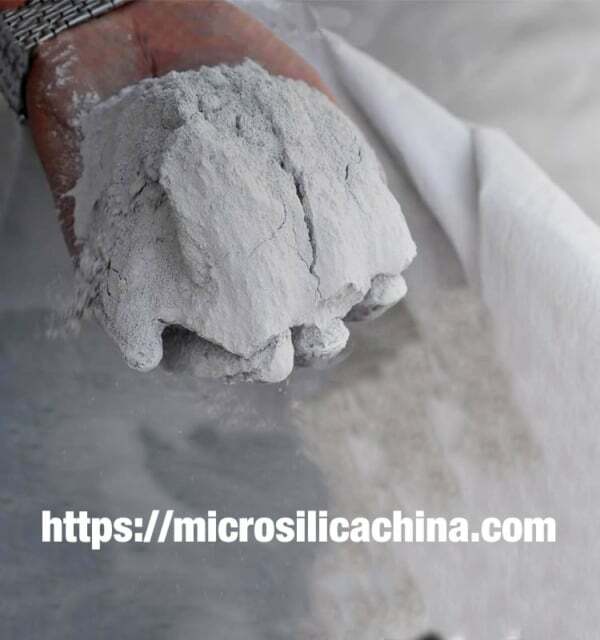 Undensified silica fume (As-produced silica fume) — The bulk density of as-produced silica fume collected from silicon metal and ferrosilicon alloy production usually ranges from 130 to 430 kg/m3 ( 8 to 27 lb/ft3 ), although it is most common to see values near the middle of this range. 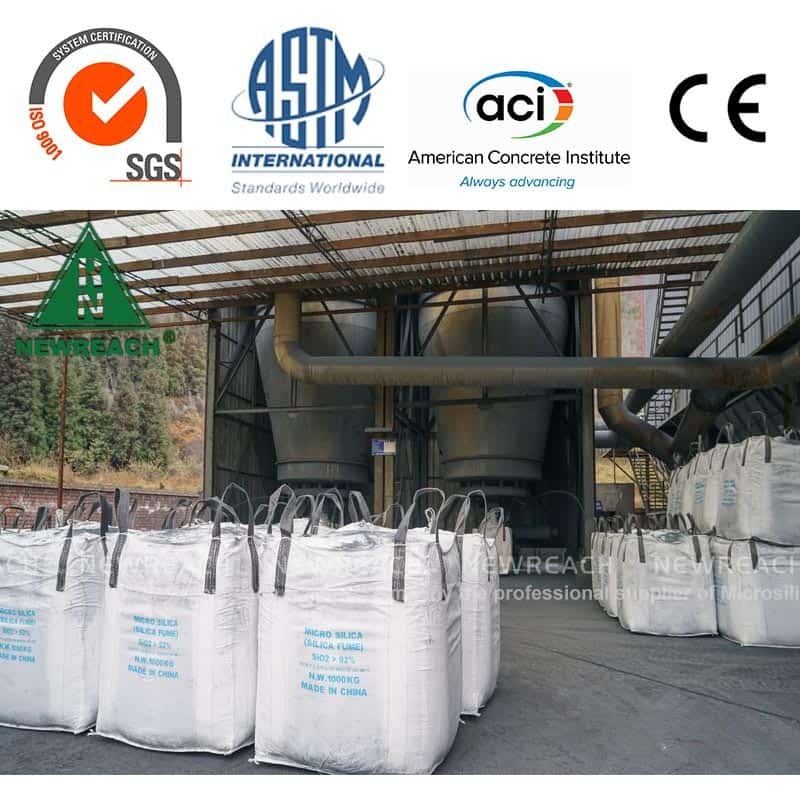 Densified silica fume (compacted silica fume) — Densification from an initial bulk density of 200 kg/m3 to a densified value of 500 kg/m3 has been reported. The bulk density of commercially available densified silica fume ranges from approximately 400 to 720 kg/m3. At higher bulk densities, it may become more and more challenging to distribute densified silica fume particles within the concrete. 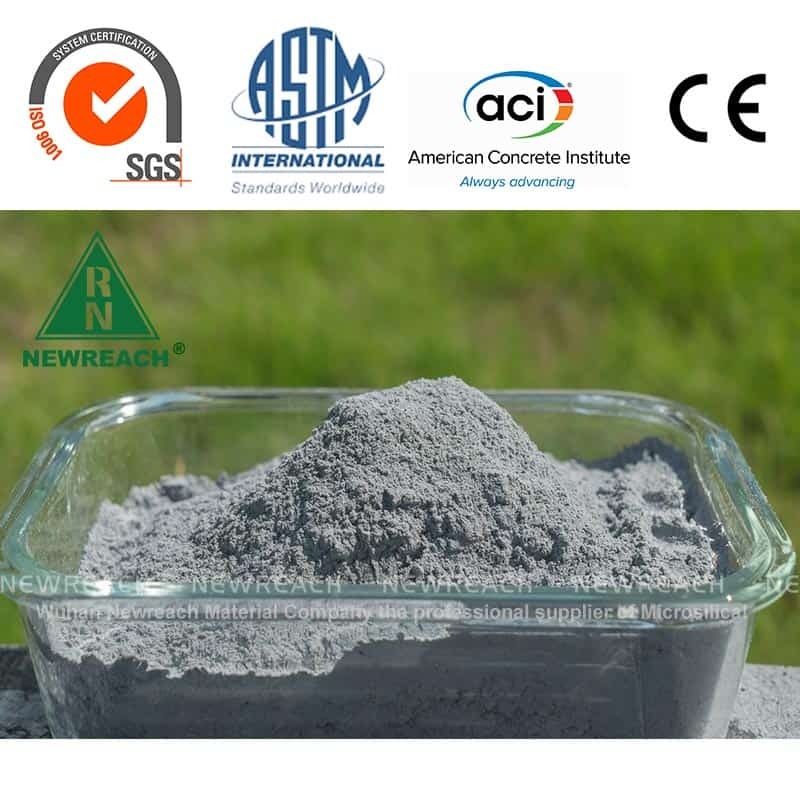 Concrete produced with a silica fume using a bulk density of 810 kg/m3 showed decreased performance in the strength and frost resistance. 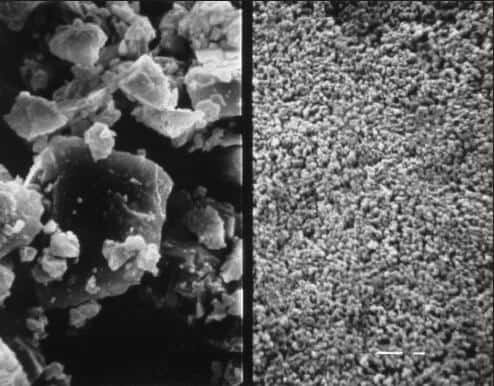 Individual silica fume particles have a diameter of less than one µm, which can be roughly 1/100 of the magnitude of a mean cement particle. 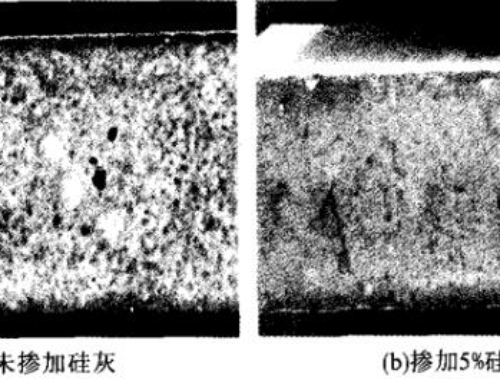 The individual particles, however, often found in agglomerations that can vary in size from 1 to 100 µm. Silica fume consists chiefly of fine smooth particles with a surface area of approximately 20,000 m2/kg (98,000 ft2/lb ) when measured by the BET method. The contrast with other excellent materials illustrates the extreme fineness of silica fume. 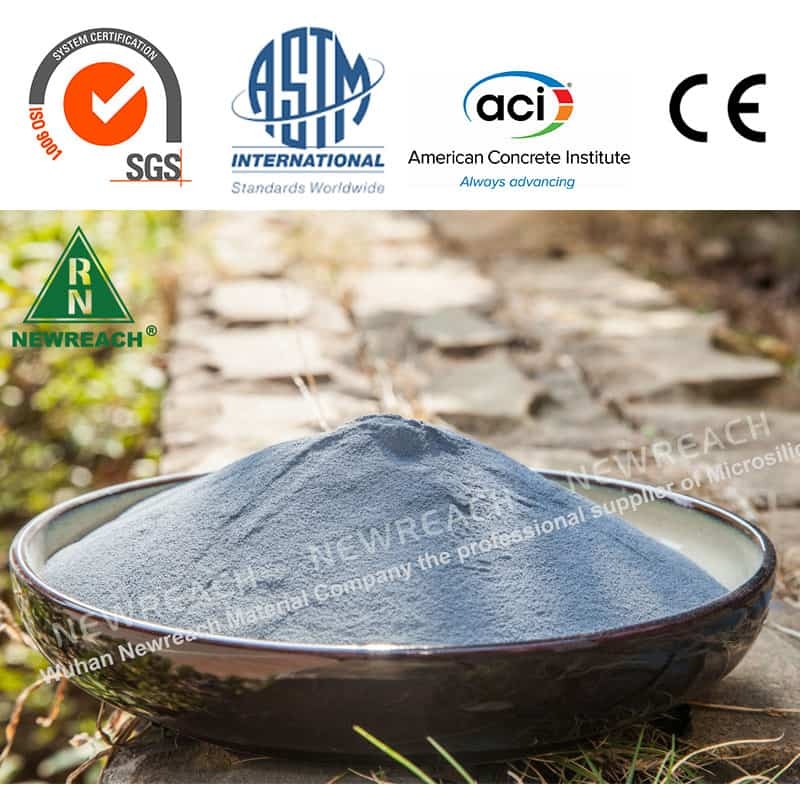 Silica fume: 13,000 to 30,000 m2/kg (63,000 to 150,000 ft2/lb), nitrogen adsorption. 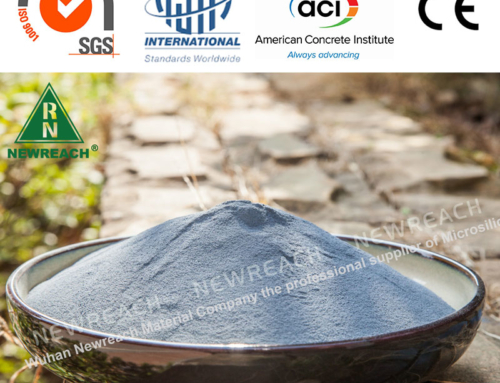 Fly ash: 280 to 700 m2/kg (1400 to 3400 ft2/lb), Blaine air permeability. 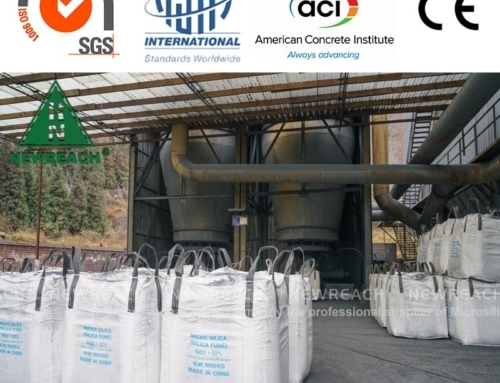 Ground-granulated blast-furnace slag: 350 to 600 m2/kg(1700 to 2900 ft2/lb), Blaine air permeability. 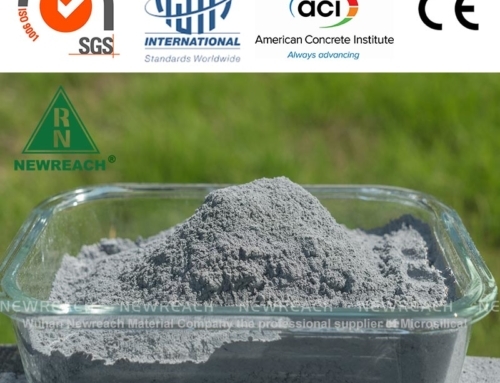 Portland cement: 300 to 400 m2/kg(1500 to 2000 ft2/lb), Blaine air permeability.